Yeti or not, here he comes! Fargo, ND – Have you been wondering: Why is it so darn cold these days? Answer: Yeti, the abominable snowman, has temporarily left the Arctic Circle long enough to hopefully find himself a mate. Why now? Because this is the mating season of the abominable snowman, since our winter is actually his Spring. Experts agree it’s no accident that the word climate is made up of the words: climb + mate. Why Fargo? No one is quite sure but it’s believed that Yeti has gotten lucky here in the past. 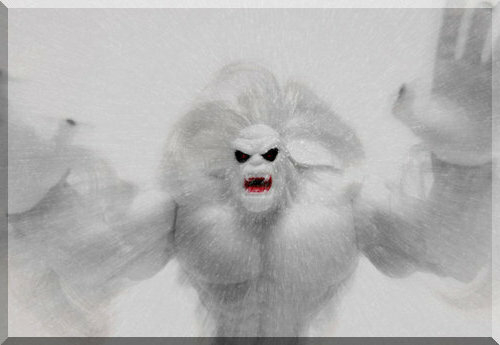 Yetiologists believe that negative windchill factors are how Mr. Abominable attracts his mate. So, the stronger the attraction, the colder it feels.